Once more into the vault my friends, once more into the vault. 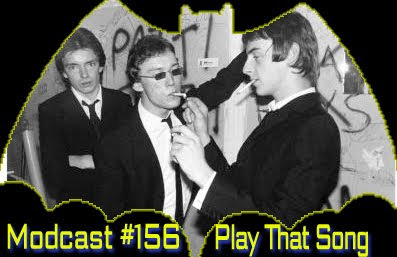 Step back in time, to a time when the modcast was young and fresh. Take a giant step outside your current listening constraints and journey with me all the way back to 2010. I've opened up the vaults and dusted off two classic modcasts that I think you'll enjoy. Again. Welcome to Mr. Suave's Mod Mod World. Got a great show lined up for you this week. Some well known things here, but a few more obscure itmes that you might not be familiar with as well. I think you'll dig it. 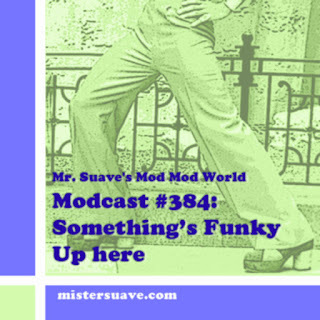 Welcome to Mr. Suave's Mod Mod World, modcast #156. In honor of Valentine's Day I've done nothing. Nothing for Valentine, but everything for you dear listener -- and it's a much better story. 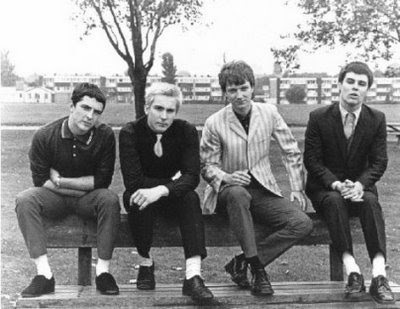 I've got a couple of brand new tracks from The Eddies and the Len Price 3. The Eddies are twins Dean and Dale Hoth backed up by legendary producer Earl Mankey on the drums. (If you don't know, Mankey was an original member of Sparks when they started out and later became a producer in the LA undergrounds for The Quick, The Last, Three O'Clock, Long Ryders, Leaving Trains and more.) Their new song shows off Mankey's producing with lots of cool sound affects throughout. The Len Price 3's latest album dropped last month to rave reviews, and you won't get any argument from me. They've outdone themselves again. In addition there are a few supercool, superhero number and some sixties stuff. Nothing not to like here.